芒果是我的最爱. 不懂为什么就是这么爱吃它.. 现在是芒果季节，终于可以好好的吃一顿!! 芒果布丁、芒果派、芒果蛋糕.. 还有什么可以做呢?? 1. Place the flour, sugar, and salt in a large bowl, stir to combine. 2. Add the butter mix rub into flour mixture with finger tips until the pastry comes together and forms a ball of dough. 3. 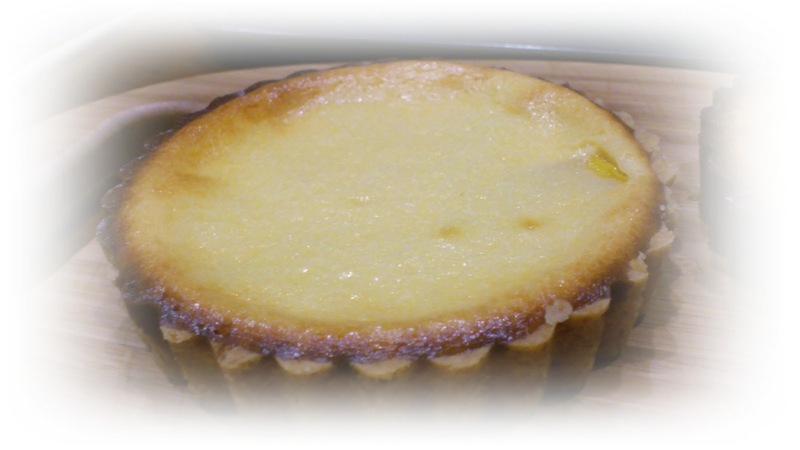 Place the pastry in the prepared tart pan and, using your fingertips, evenly press the pastry onto the bottom and up the sides of the pan. 4. Pierce the bottom of the crust with a fork. Place the pastry crust in the freezer for 15 minutes. 5. Preheat oven to 220 degrees C.
6. When the pastry is completely chilled, place the tart pan on a larger baking pan and bake until the crust is golden brown, about 13 - 15 minutes. 7. Remove from oven and cool while you make the filling. 8. Reduce the oven temperature to 175 degrees C.
1. Using electric mixer, process cream cheese until smooth. 2. Add sugar and beat until incorporated. 3. Add eggs, one at a time, and process until thoroughly combined. 4. Add remaining ingredients (except mango) and beat until well blended and smooth. 5. Place the tart pan on a larger baking pan. 6. Carefully pour the filling into the pre-baked tart shell. 7. 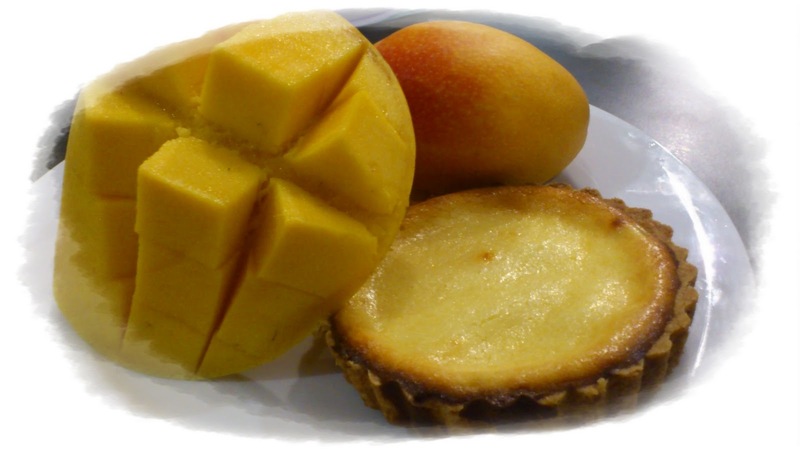 Arrange the mango slices around the tart and then bake the tart for about 30 - 35 minutes or until the filling is set (test by gently shaking the pan).